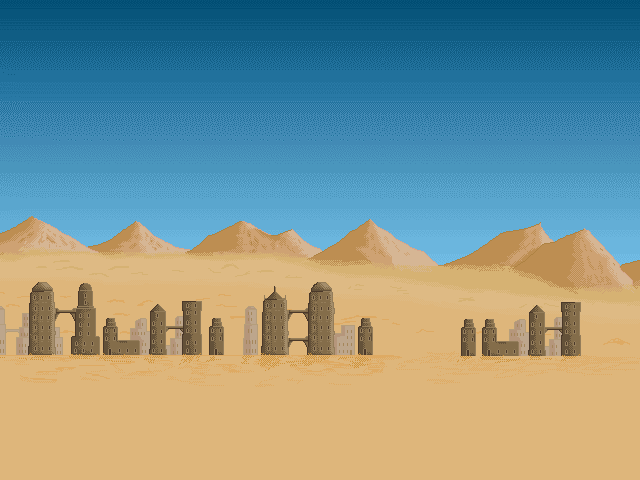 Below is a background of an ancient city in the desert background for use in your games or apps. The background was designed using GraphicsGale and has been made using pixel art. To download the background please right click on it and select save image as.